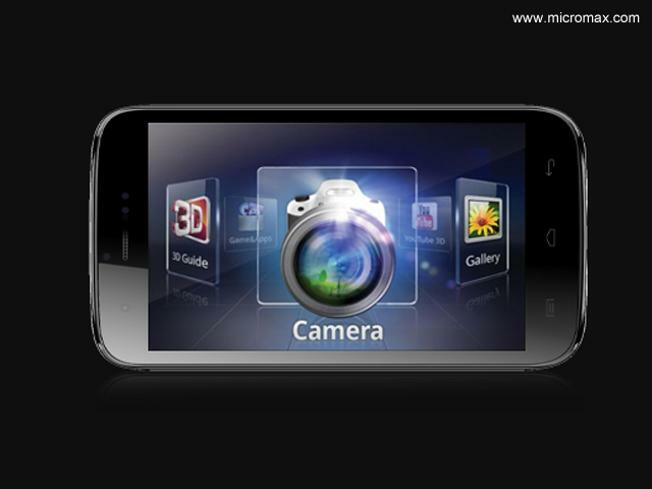 The Most Boasted Feature of Micromax Canvas A115 is "Naked Eye 3D". 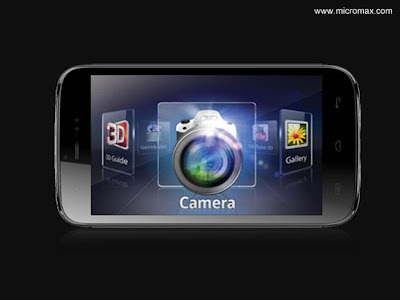 Micromax Canvas 3D A115 sports a 5 inch display with a resolution of 480x800 pixels. The device is capable of displaying 3D images and videos. The device runs on Android v4.1 OS (Jelly Bean) platform and is backed by a 1GHz dual-core processor (MediaTek MT6577) & 512MB RAM, It has an TFT LCD Capacitive touchscreen with 16 M colors & most importantly Naked eye 3D. For connectivity, it has Dual - SIM (with Dual GSM standby) GPRS,2G (GSM 900/1800/1900) 3G (WCDMA 2100), Bluetooth v4.0, and micro USB v2.0. Other features include include 5MP back camera with dual LED Flash for imaging & video recording @ 30 fps, VGA front camera for video chat,Wi-Fi, Proximity Sensor, Motion Sensor, Gravity Sensor, GPS, and 4GB internal storage (user available 0.93 GB it a real drawback), 32GB expandable memory. It has a 2000 mAH battery. Micromax Canvas A115 3D is a real deal @ this price range.